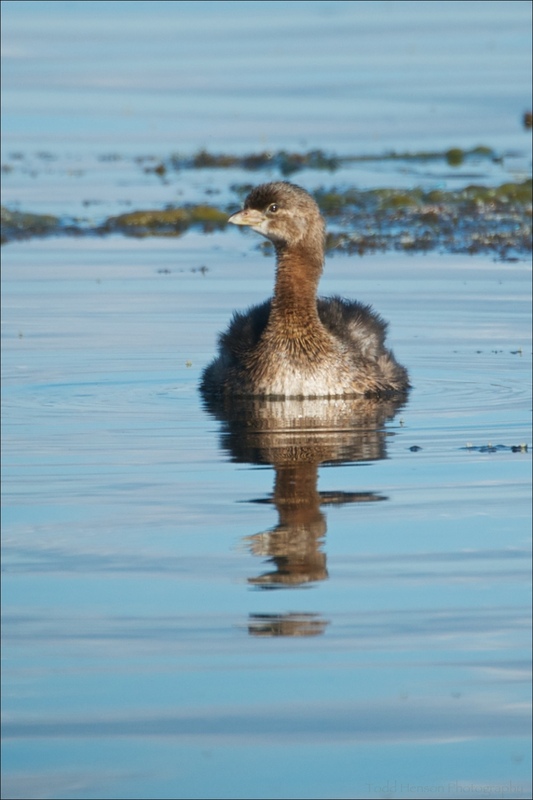 The Pied-billed Grebe is a curious bird. The single Grebe in these photos may be the only one I've yet photographed. Based on its coloration this one appears to be a non-breeding adult. 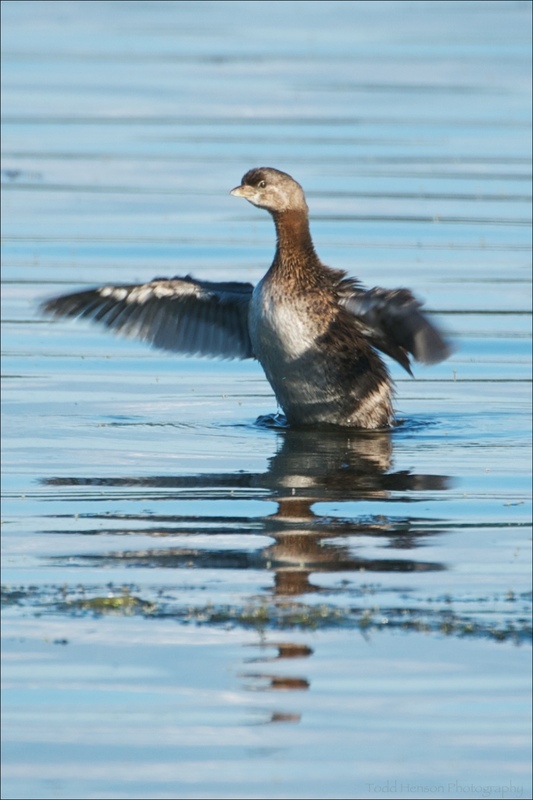 A breeding adult Pied-billed Grebe would have a black ring around its bill and a black patch on its throat. The male and female look similar. The Pied-billed Grebe was swimming in the bay somewhat close to shore (but far enough away these photos are heavily cropped). This was in the afternoon, around 5:30pm, in early September. I watched it diving for food for perhaps 10 to 15 minutes. Then it began drying and preening itself, and finally relaxing amongst the floating plant life. Once it settled down it began twitching its folded wings just slightly. It almost appeared to be muscle spasms. I'd not seen that before and found it very interesting.